Bend has many fine cannabis dispensaries to choose from, but Dr. Jolly’s is the only one that holds the distinction of being Central Oregon’s first state licensed dispensary. Located on 3rd Street, Dr. Jolly’s is open seven days a week and offers locally-grown, high quality, laboratory-tested cannabis products in a compassionate, clean and professional environment. Founded by two brothers, the younger known as “Jolly”, the owners and their staff also provide cannabis-related consultation, education and patient resource services. 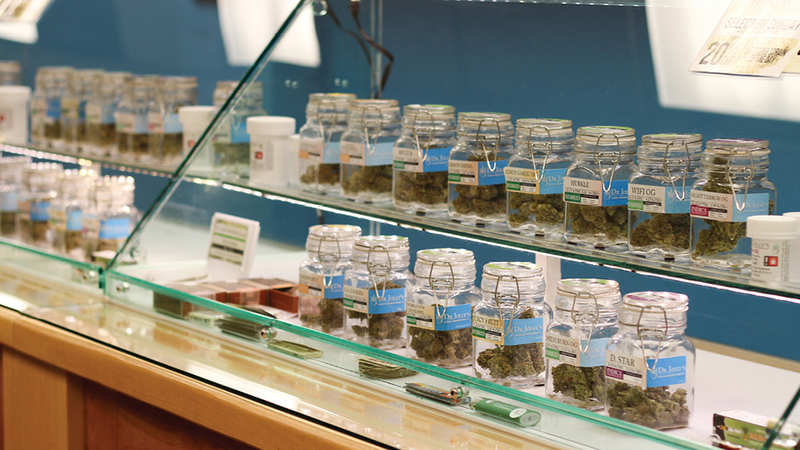 In fact, Jolly has been cultivating medical cannabis for patients for over a decade. Come explore the store, where you’ll find a wide selection of flowers, extracts, edibles, and topicals, along with extremely knowledgeable, friendly staff ready to answer your questions. If you’re in a hurry, you can place your order online and come pick it up when it’s been filled. Or, if you can’t be bothered with making the trip in, Dr. Jolly’s will deliver any order over $75 for free.